Last week CNN “raised questions” about Republican presidential candidate Dr. Ben Carson’s claims of childhood rage episodes by interviewing people who didn’t know Carson at the time of the alleged incidents, weren’t put forth as witnesses, and didn’t contradict his story. In fact, despite their distance from Carson and from the decades of time past, one of these individuals even corroborated Carson’s account – claiming he or she heard “rumors” of a now-famous stabbing incident. So, for those keeping score, days of media hits on decades-old incidents revealed, at most, utterly trivial contradictions (a dinner Carson thought happened in May really occurred in a different month; a psychology-class incident may have occurred his freshman year, not his junior year) while backing up the core assertions. Yes, there was a hoax exam. Yes, a person from Detroit heard of the Carson stabbing incident. Yes, there was a riot at his school. In the meantime, all this digging has not yielded a single person to contradict the primary elements of his stories. Not one. This isn’t investigative journalism. It’s a clown show. To “raise questions” about incidents that occurred more than 40 years ago, one does not interview people who weren’t involved and weren’t there. Maybe it’s a scoop if CNN found the person who argued with Carson and says that Carson pushed him and didn’t try to stab him. Maybe it’s a scoop if Politico interviews someone who heard military officials talk to Carson about West Point and plainly heard that they made no offers of “scholarships” or any other enthusiastic expressions about his chances for admission. Maybe it’s a scoop if the Wall Street Journal found someone who was in the biology lab the night of the riot and says Carson was nowhere to be found. But the media’s “investigative” standard here is strange, indeed – actual corroboration of Carson’s account followed by no meaningful contradiction does not “raise questions” about Carson’s honesty. 1. 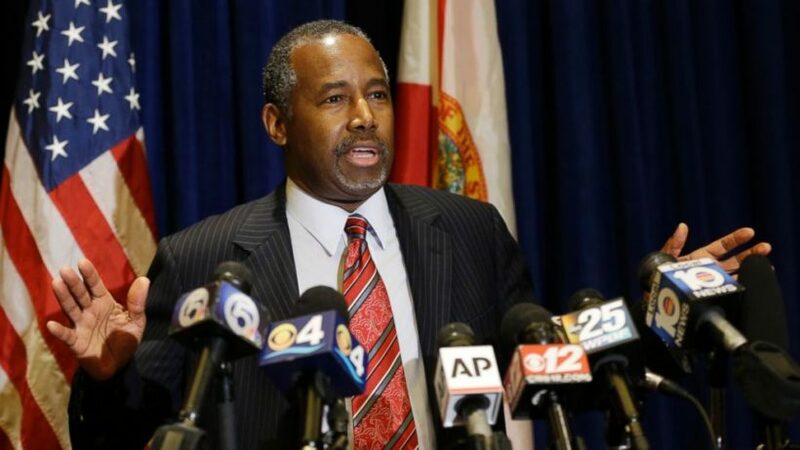 Do you think the media’s attempts to show that Dr. Ben Carson was not honest are a biased attempt to discredit him, or good investigative journalism aimed at giving voters what they need to know about one of the presidential candidates? Explain your answer. 2. Do you think the media has investigated Democratic presidential candidate Hillary Clinton with the same tenacity and scrutiny? Explain your answer. I do not remember this level for scrutiny for one President Barack Obama when he was running. In fact, I remember just the opposite. [Obama] goes to Occidental college. Doesn’t do all that well, and somehow ends up in Columbia University. [You say] ‘Eh, I don’t know.’ His records are sealed. … Why are you guys not interested in why his records are sealed? Will someone tell me please why you have not investigated that. You should want to know, too. He’s president of the United States. You’re saying that something that happened with the words of scholarship that was offered [to me] is a big deal, but the president — his academic records being sealed — is not? (2) The lede is outright false. Politico’s Kyle D. Cheney starts with this claim: “Ben Carson’s campaign on Friday admitted, in a response to an inquiry from POLITICO, that a central point in his inspirational personal story was fabricated: his application and acceptance into the U.S. Military Academy at West Point.” But no where in the piece does Cheney tell the reader where Carson made this “application and acceptance” claim. (3) It is, of course, very easy to show that Carson never applied to or was accepted to West Point, if in fact he never applied. Thus, the entire piece hinges on this missing piece of information: where and when did Carson say that he applied to and was accepted to Westpoint? (4) There is a lot of evidence that Carson never made that claim. Particularly, because in both his book and his speeches, he talks about whittling his options down to Harvard and Yale, and in the end deciding to apply only to Yale, where he was accepted. (5) Carson’s book does have a single line: “Later I was offered a full scholarship to West Point.” This isn’t quite wrong either. Nobody gets scholarships per se to West Point; as a service academy, repayment is the term of service after graduation. But that’s exactly Carson’s point when he says he didn’t take up the West Point opportunity because he didn’t want the service commitment to delay his medical career.